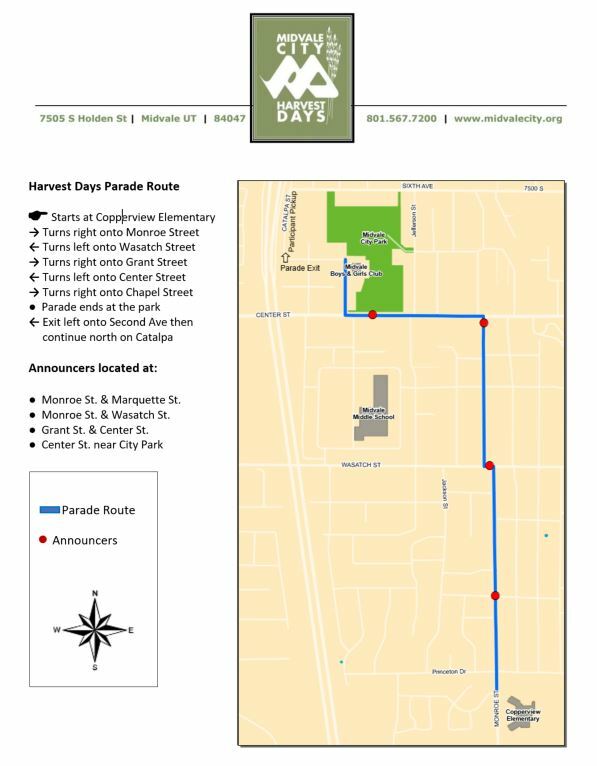 The Midvale City Harvest Days Committee is pleased to announce that plans are underway for the annual Harvest Days Festival. The festival will take place on Saturday, August 10, 2019 at Midvale City Park. Harvest Days is an honored tradition that brings a fun-filled day that residents look forward to every year. Midvale Harvest Days provides a venue for area merchants, artists, home crafters and food trucks to sell or showcase their products/services in a family oriented atmosphere. We are very interested in expanding our vendor booths and food trucks to go along with our incredible entertainment line-up. We welcome informational booths, non-profit agencies, arts and crafts products, food trucks as well as those that offer on-site services.